Who doesn’t love a quick getaway every now and then with your loved one? Maybe you have put the honeymoon on hold or you just want a quick escape with your partner, whatever be the reason, there are plenty of reasons to visit these stunning resorts around Delhi that are perfect for a rejuvenating weekend! We have with us a list of the best and most luxurious resorts around Delhi which offer a breathtakingly beautiful view and an unforgettable experience. With these resorts on your list, you will never run out of plans for the two of you! This luxurious retreat offers a relaxed and warm ambience for all the guests. The exquisite services and the amenities are sure to make your weekend a splendid one! Soak up the sun and plunge into the pool and enjoy quality time with your partner! That’s what Westin Sohna offers and so much more! Pack those bags, hit the road and just drive, with your love by your side! 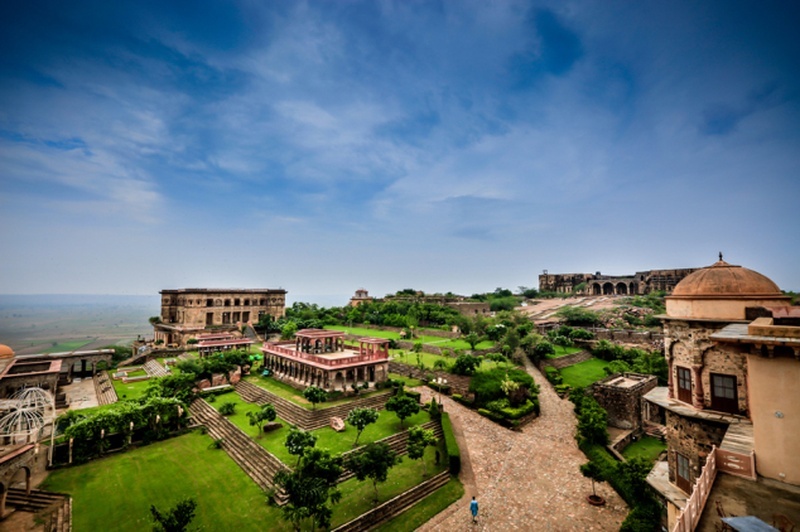 Neemrana Fort Palace is sure to be a royal experience that you won’t forget for a long time to come! When your love story is epic, why should your weekend getaway be any less? Unwind, rejuvenate and enjoy each other’s company while admiring a great view - doesn’t it sound perfect? Your romantic getaway just got more romantic! With a view like the above, who wouldn’t love weekends more? Lush green lawns and a breathtakingly beautiful view - what more could we ask for in a weekend retreat? Feast your eyes on this beautiful property while you enjoy all the lavish amenities provided by the resort for you and your partner. If you have always wanted a regal weekend, this Agra resort is just the one for you! Beauty, luxury and royal treatment come together in this resort and make sure that you have an unforgettable time!